Sounds a little inane, I know. Playing a “game” where one pushes little bits of cardboard around on a paper map. The map is colorful. Even the little bits of cardboard aren’t brown and corrugated; they too, are colorful. These games, have a visual sense of being artistic. However, playing one of these games, while having fun elements, provides something much deeper than playing a game of Chutes and Ladders with the kids. In order to play a board war game you have to learn the history. 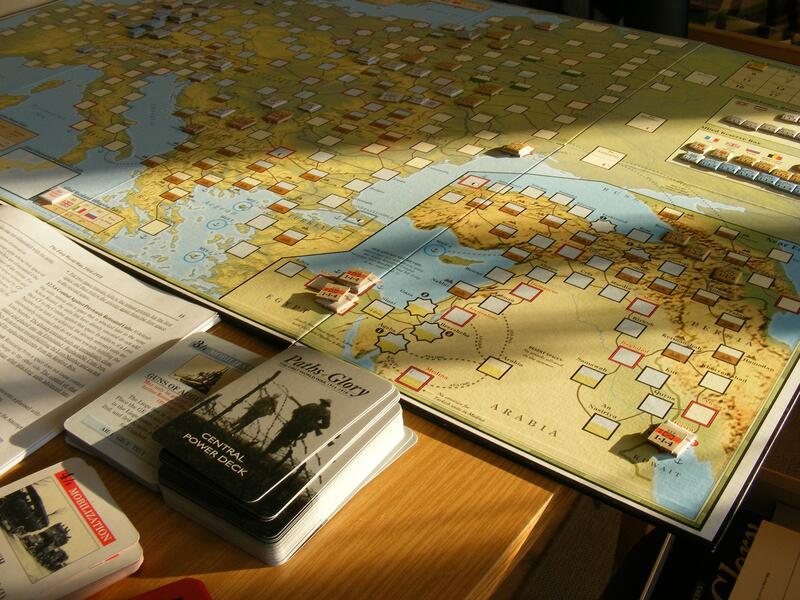 In a lot of cases board war games are case studies in the conflicts they simulate. To learn the game is to learn the history. And to know the history is to know yourself. These games require effort, and in that effort, you begin to understand so much more than the game. You begin to understand the time, the place, the people, the reason, the humanity. Why play a game for Memorial Day? I play because I want to remember.